A collection of close to twenty articles about the intersection of biking, class, race, and social inequity from a variety of viewpoints. Each article was clear and engaging. 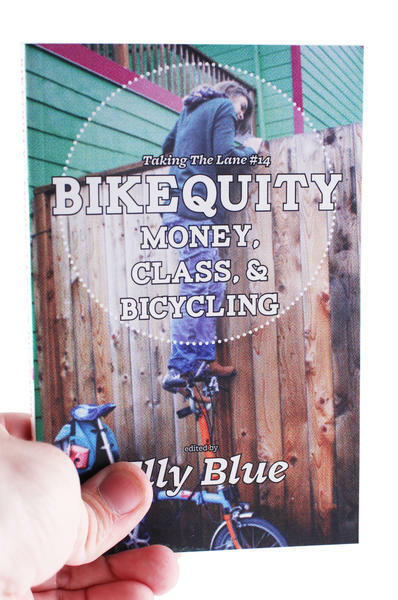 Since I bike for transportation and care about social justice, this zine/small book felt comforting and inclusive to read. Recommended! 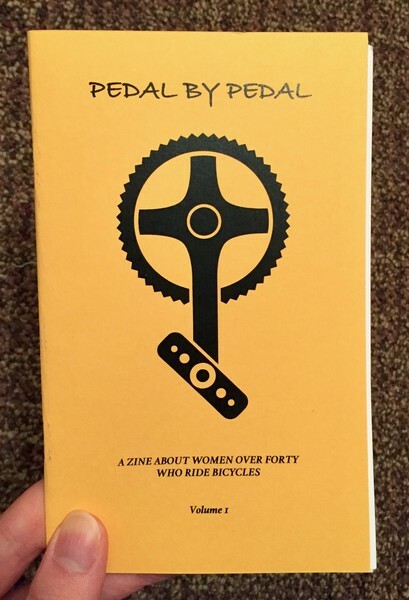 I commented to Elly that I was starting to notice judgment about biking around as I near age 50, and she also recommended a smaller zine, “Pedal by Pedal, a zine about women over 40 who ride bicycles,” edited by Julie Brooks. Also inclusive and comforting to read. There are more women like me out there! 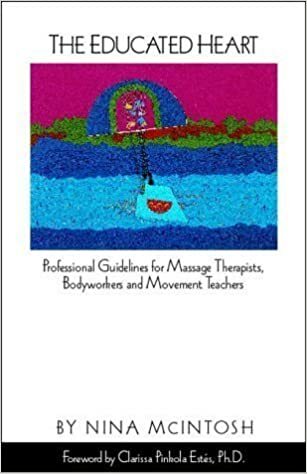 I took a 3 day class from Kathy Kain last year and learned techniques that I use every day in my practice, so I was excited about this book. It turned out to be dry to read and only talked about a couple of techniques at the end, which I had already learned in the class. On the positive side, the extensive client examples include gay parents and genderqueer clients. The first part introduces attachment, polyvagal theory, and neurological development. Interoception is perception of our internal state. Exteroception is perception of the external environment through vision, hearing, touch, etc. Neuroception is the perception of safety and threat. Interactions with parents and other caregivers help an infant make sense of incoming stimuli and assess safety vs. threat. Without playful and caring interactions, the infant develops a strong sense of what is a threat, but does not develop a sense of what feels safe. They discuss the ACE study and the health effects of early trauma. The Window of Tolerance is the nervous system’s comfortable, functional, social state. Threats result in hyperarousal (fight or flight) and hypoarousal (freeze, immobility). Someone with a dysregulated nervous system has a very small window of tolerance. They may have a faux window of tolerance, where they manage to function despite being under physiological stress. The second half of the book more directly discusses clinician interventions for clients with developmental trauma. The emphasis is on teaching the nervous system how to stay more regulated, and to offer co-regulation, where the client’s nervous system is steadied by the clinician’s regulation. The authors emphasize that developmental trauma is largely non-verbal, patterned in the body, so interventions need to address the body directly. Interventions they discuss: gentle touch on the kidney area of the lower back, and helping the client practice noticing same/different around their triggers. Recommended if you want a lot of information about developmental trauma, and don’t mind a somewhat uneven presentation. This graphic novel is the second half of Mike’s visit to his dead husband’s brother’s family in Japan. It’s a quick read, and at the same time touches on a lot of emotionally powerful themes. The meaning of “family.” Making things right after a family member has died suddenly. Being in the closet, and out of it, as a gay man in Japan. Politeness, and its difference from kindness and courage. For example, young Kana and her friends openly welcome her gay uncle Mike, in contrast to the more guarded welcome of the adults. Yaichi (Kana’s father) does come around in the end. Recommended for learning more about Japanese culture, and for seeing how hidden homophobia can change under gentle pressure. The plot is more action-driven than the first book. Some characters grow and change in surprising ways. Grief is included as a major emotional force, rather than being glossed over as happens in many books. The subject is brought up directly in the book, but there is still a big hand-wave on the impracticality of evacuating even a small percentage of the earth’s population to another planet, and how the resources required for that would take away from resources to address problems on earth. Of course the usual biases would affect who stays, who goes, who gets help and who doesn’t. I still love that Elma’s Judaism weaves through the book with an ongoing cascade of familiar details. I love the conscious inclusiveness of Black characters, a Muslim character, a relationship between men, (minor) characters with disabilities. I can’t imagine that an organization would put people with known major relational stresses on a 3 year mission together in a small ship. I can’t imagine that people would be able to manage that. Makes me wonder how sailors handle it on long trips. My suspension of disbelief wobbled on this book. The contrast between doing calculations by hand and making a colonizing mission to Mars was too big. Still a fun read! This is a collection of line drawings and wise words that have appeared on Robyn Posin’s website over the years, along with some more recent essays. It was lovely to see the vibrant drawings of dancing, struggling, resting women and the encouraging words gathered in one place. Robyn Posin’s work has been a big inspiration and support over the years. Most of her messages resonate powerfully for me. At the same time, I’m still arguing with a few of them. The idea that our love-starved little ones inside can only get love from us, not from anyone outside us now that we are no longer children makes a lot of sense, and I still have a “Yes, but…” response. What about adult attachment? What about friendship, and care? I’m not saying she’s wrong, but something in me is still hoping. I love the parts about accepting all our feelings, not just the warm fuzzy ones, and the firm rejection of the idea that acknowledging our anger just brings more of the same into our lives. Feelings are meant to live and move through, not be shoved down and frozen in place. In this book, I found a message that I had remembered all this time, but not been able to find again on her website: “It does not matter whether how we are in the moment is born from our woundings or our wholeness.” What a revolutionary, liberating message! Even if we are “broken” in some way because of abuse or trauma, that’s how it is. We still have to exist in the world, with both our damage and our wholeness. Living in the thinnest slice of now and trusting that my future self will be able to handle my future circumstances has also been a liberating idea. Another idea I struggle with is that the Grandmothers (or other higher/deeper powers) are guiding my life. I’d love to feel so cherished and protected, but life seems too random, and too catastrophic for a lot of people, to believe that someone is in charge of what happens to each individual. 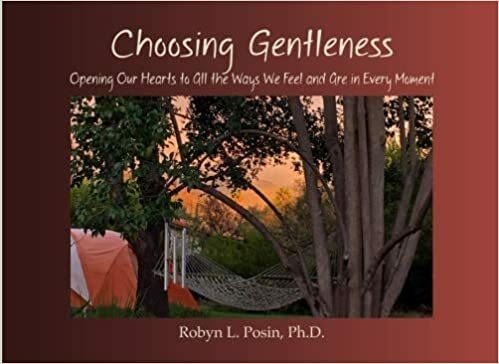 Highly recommended as a comforting and thought-provoking compilation of Robyn Posin’s many years of healing and helping others heal.